Acme, is one of the most venerated transformer manufacturers' for commercial and industrial use, worldwide. Their commitment to customers is expressed by providing top quality transformers, competitively designed and fairly priced. Their single phase transformers meet the needs of both light and heavy duty applications. They are designed to effectively step down or step up the power supplied from the source. The most important feature that every transformer should have is durability. In other words, it should be constructed with state-of-the-art technology to achieve this. T2535173S Single Phase Transformer is technically advanced and requires minimum maintenance. It's expertly constructed, and its enclosure meets a wide variety of international and domestic standards, including ANSI, NEMA, and OSHA. Where to keep your transformer, is also another crucial factor. Some can operate indoors or outdoors while others can operate in both environments. Outdoor transformers are simply transformers which are intended to function in an outdoor environment while indoor transformers can only operate in an enclosed environment. T2535173S Single Phase transformer can effectively function anywhere. They have a weather-proof enclosure to protect them from dirt and other contaminants. 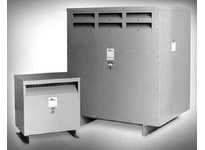 Acme's single phase transformers boast of a range of options for secondary and primary winding voltages. T2535173S Single Phase transformer distinctively has a primary voltage of 240 x 480 and a secondary voltage of 120/240. For increased conductivity, all the lead wire terminations in this transformer are lead. The transformer is also of reasonably weighty and flexible for easier wiring.